A favourite meeting place loved by locals and those in the know. Settle in, watch out for a spectacular sunset, listen to live music and make a night of it. 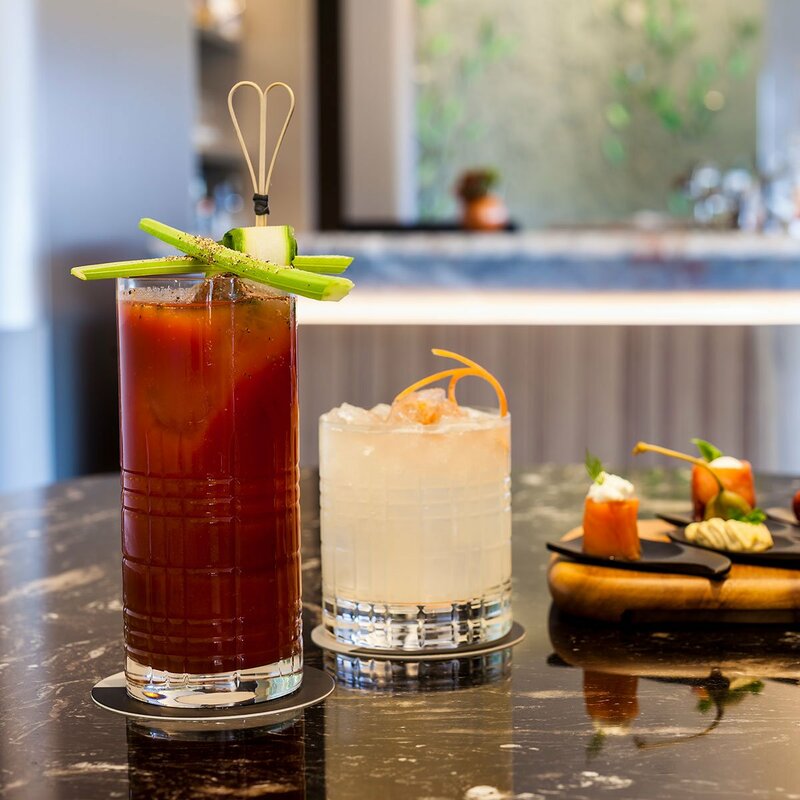 Let us serve you a sensory journey with our expertly crafted cocktails, inspired by the Eternal City. 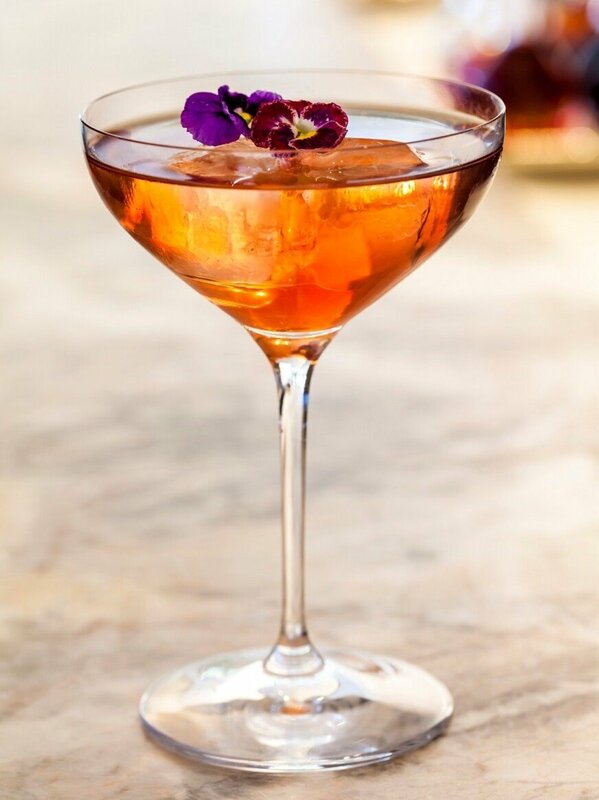 Try the rose-hued La Grande Bellezza which captures the warmth of a Roman sunset, or the Martini Trevi made with lavender and bergamot, inspired by strolls through Villa Borghese. From our wonderful location on the Pincian Hill, Rome awaits your gaze. Il Giardino’s huge windows provide a mesmerising horizon stretching from the dramatic Il Vittoriano and the majesty of St Peters to the grand Villa Medici and stately Borghese gardens. But this view is so much more than a roll-call of history. This view proudly introduces a seductive, lively city. This is Rome; full of life. 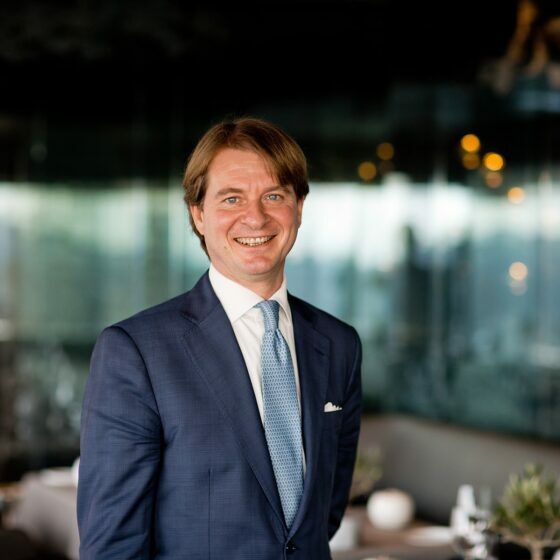 From world-class wines to signature cocktails and traditional Italian cicchetti, our welcoming team are experts of their craft. We invite you to join us for a memorable evening in a truly enchanting setting. Designed around the idea of bringing the outside in, our al fresco feel is brought to life by a ‘vertical garden’ wall. Crafted from hundreds of individually handmade metal leaves, the result is a backdrop beautiful enough to compete with the glorious view. Aperitivo is a glorious couple of hours in which to relax, Italian style, over a glass of something and a selection of Fabio Ciervo’s cicchetti (Italian tapas). Since most Italians eat their evening meal at around 9pm, it’s also a good way to start revving up an appetite for dinner at one of our restaurants. 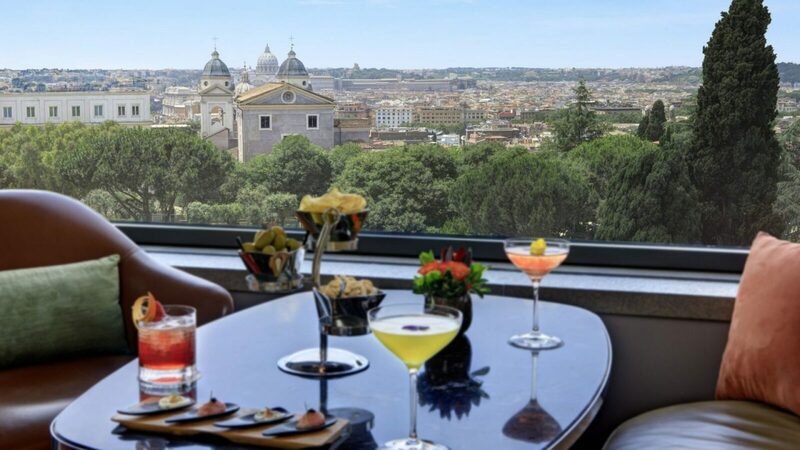 With a DJ, handcrafted cocktails and a stunning view of Rome, Il Giardino Bar sets the scene for unforgettable evenings. Join us on our rooftop every Wednesday and Friday, starting with aperitivo as the sun sets over the Eternal City.